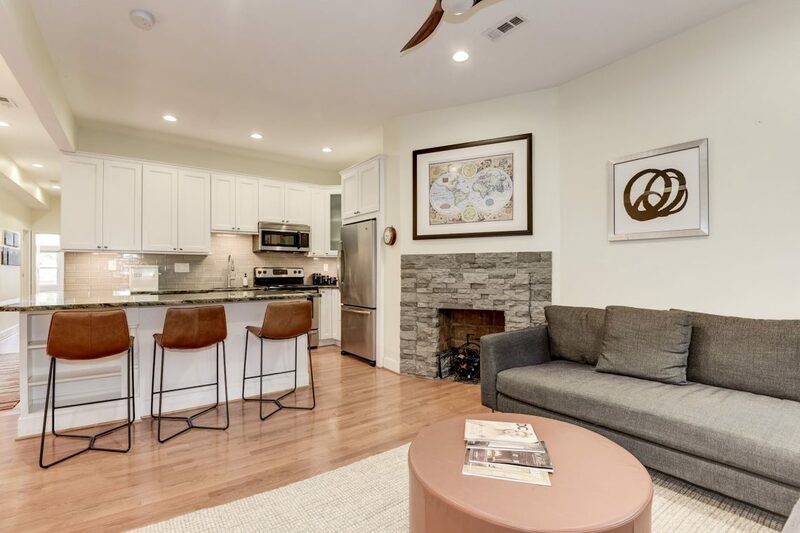 Recently renovated, light-filled condo in Victorian Row House features front sitting porch, high ceilings, hard wood floors, eat-in updated granite kitchen, gorgeous travertine baths, W/D in unit, private south facing deck and garage parking! Coveted tree-lined street, stroll to Rock Creek Park, Adams Morgan, Dupont, shopping and neighborhood amenities. 1,010 sq., ft., per floor plan.